Shiny, green leaves with a tart, green apple taste. 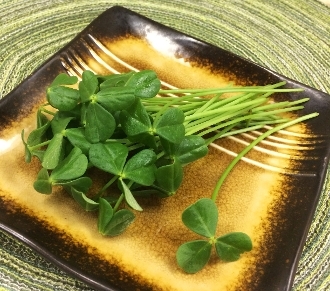 This 3 leafed Petite is succulent & juicy, perfect for topping white fish or tuna. Stands up well when dressed with a vinaigrette. Also great when paired with pork chops or citrus desserts.